Apples health benefits for longevity and wellness are Rich in Antioxidant and is said to fight several types of cancer. It is also know for fighting heart disease, high cholesterol, and Weight Gain. It contains a high percentage of Fiber which is essential for preventing cholesterol re-absorption. Because it provides nutrients and enzymes to maintain good health and longevity, it is important to add this Fruit along with vegetables to your daily diet as an essential sources of health nutrition benefits. It is an anti inflammatory food because of how course it is, and also a source of fiber both soluble and insoluble. One of the most essential fiber is the pectin in this primary fruit which is the cyber. This fruit is one of the most consumed fruits around the world and as a result been given very rating as a super food. It is extremely rich in antioxidants, flavanoids, and dietary fiber. Research and studies carried out on its health benefits state that the antioxidants and phytonutrients in this fruit may help to reduce the risk of people developing cancer, diabetes, heart disease, and hypertension. Vitamin C is a very natural and highly effective antioxidants that blocks free radicals from entering the body. These free radicals can cause serious damage if they enter the body. Vitamin C also acts as a booster for the immune system enabling it to resist against any infection which threatens to invade the body. Vitamins B Complex such as Vitamin B-6, Thiamin, and riboflavin maintain the central nervous system and red blood cells in good health. High Diet in fiber can help to create a barrier that will prevent any development of certain diseases. It will also help to prevent the amount of bad cholesterol in the blood from rising. The fruit contains a rich compound that is called poly-phenolic that protects the body from free radicals and their devastating effects. The health benefits help to reduce the risk of stroke, reduce the risk of diabetes, and improve neurological health. When comparing calorie for calorie, it is determined that natural fruit sugar is better utilized by the body and is less fattening than the regular common sugar. it is said that it is one of the many fruits that help people from developing Lung cancer. According to small research study conducted by Ohio State University, an apple a day can reduce LDL (bad) cholesterol by as much as 40 percent. Another study carried out by the Iowa Women's Health Study, tracked over 34000 postmenopausal women for 18 years, and found out that there is a link between apple eating and also a lowered risk of dying from heat disease. 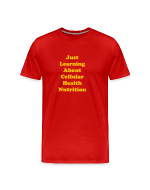 It is my intention to spread the good news far and wide about "Health Nutrition" If you really like what you've just read, then please join me in my effort to Inform and educate the world. Your social media of your choice provides the option to do so. You can also ask others to help spread the word. 1. The Power of Cellular Health Nutrition is the life-Line to Optimum Health. 2. How To Use Raw Fruits And Vegetables As Natural Healing Foods For Ultimate Health. I promise to use it only to send you Health Nutrition For Wellness. Stop throwing away your Fiber and Money In the Trash Can, and start using the Nutrition Extractor - The Nutri Bullet Now. Do not forget that the cells determine our state of health, and are the building blocks of your body which store the energy needed to function. They are often neglected and rarely spoken of. Often times we hear of cancer cells and sickle cells etc. These are the very cells when attacked by these diseases create health hazards in our lives and that's the reason why we should take preemptive action and nurture them to keep them healthy. Listen to Dr. Doctor Herber as he explains in a very timely manner the importance of cellular nutrition how it impacts your life in a favorable way, and how it can work for you.